Happy Friday all! I hope you're looking forward to the weekend ahead (I know I am!). So last week a pretty snazzy parcel landed on my doorstep, courtesy of the amazing, Pixi by Petra. If you're a regular round these parts, you'll know I'm a huge fan of the brand, and was lucky enough to be sent a package full of skincare (and chocolate!) back in the summer. This time round I was treated to a range of the A/W Pixi cosmetics, and holy guacamole, they.are.serious. The item I was most giddy (yes, giddy) about when opening the box was this gorgeous Mattelustre Lipstick. Plum Berry* (£14) is a deep berry red (as the name would suggest) and the perfect shade for this time of year. Rock with a bare face, a strong brow or even a smokey eye, it's capable of complementing a whole host of different looks. Though it's on the cool side of things, it's one that'll suit pretty much every skin tone. Long-lasting, matte and pretty packaging to match - basically, I'm in love. If brighter shades are more your thing then you will seriously dig the Mattelustre Lipstick in Pure Fuchsia* (£14). Again a matte formula, this one's ideal for days you're not looking your best to really add some life back into your face. Throw on a pair of shades (how awesome is this weather though? ), your best pout and you're good to go. A gal can never have too many eye products in her stash, and this Cat Eye Ink* (£12) is well worth a mention. Not only is it a seriously intense black, but the slanted felt tip makes application easy as pie for liner noobs like myself. Just make sure you have a waterproof makeup remover at hand come bedtime as this stuff doesn't.budge. Finally, it's time to talk brow. Though I religiously reach for my Anastasia Beverly Hills Brow Wiz, I get through it pretty swiftly. Luckily for me, the Endless Brow Gel Pen* (£14) is all kinds of awesome. I use the shade, Medium, a neutral ash brown which matches my hair rather accurately. A lot of brow products fail to get the whole ashy tone right, but this manages to get it spot on. The gel-textured pencil gives just the right amount of product and lasts all day. If you're looking for an extra boost through any unruly sparse areas or are after a fuller brow, this is your BFF. Are you a fan of the Pixi by Petra? I'm very excited to say that as of this week it's now stocked in Marks and Spencer! If you fancy reading up on what the brand has to offer when it comes to skincare, head to my previous post, here, however if you're after snapping up some beauty goodness for yourself, head to the Pixi website, here. Will you be sporting a berry lip this season? I'd love to know your A/W makeup recommendations! Liked this post? 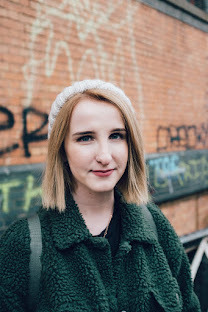 Come follow me over on Bloglovin'! Soap & Glory Smoothie Star Body Buttercream. Ole Henriksen 3 Little Wonders Gift Set. ESPA Pink Hair & Scalp Mud.